Located along one of the most popular blocks in Washington, DC is The Metro—a very modern, upscale condominium. 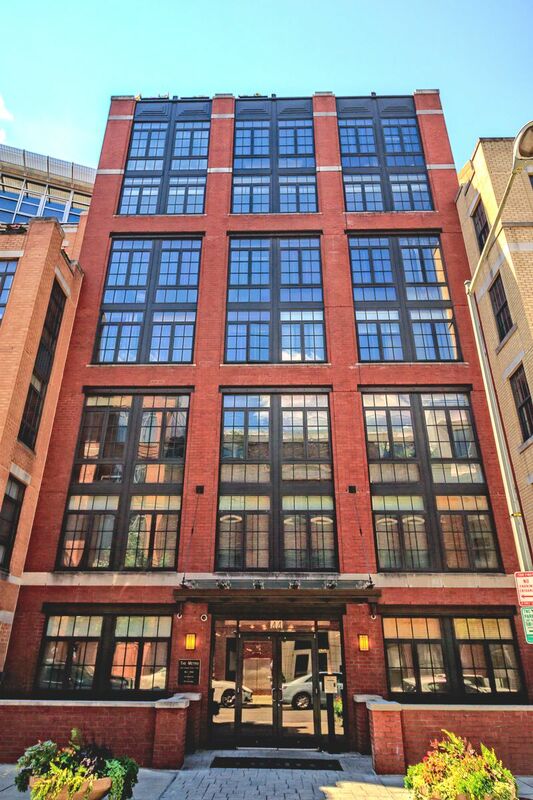 Featuring a variety of floor plans, the building is located at 1444 Church Street NW, just a half-block from 14th Street in the heart of Logan Circle. Developed jointly by PN Hoffman and SJG Properties, The Metro was delivered in 2004 and received the Washingtonian’s Residential Design Award in 2006. This exclusive building stands at eight stories, with a very contemporary façade. Designed by SK&I Architects, The Metro offers 53 urban city homes, ranging in size from 707 to an eye-popping 2,024 square feet. Condos for sale include flats and two-story loft-style, with recent prices between $437,000 and $1.5 million. Residences at The Metro offer de riguer industrial chic features such as soaring concrete ceilings, exposed overhead duct work and electrical conduits, and bamboo hardwood floors. The open design allows living areas to flow seamlessly into gourmet cooking spaces, with tasteful granite serving counters as well as maple cabinets and stainless steel Energy Star appliances set unobtrusively into the walls. Live, cook, eat and socialize all in the same place, while gazing out at the cityscape through mammoth floor-to-ceiling window walls. Some of the units have rear-facing balconies while penthouses have large private terraces with slate flooring. The two-story condos have factory-style metal staircases leading up to sleeping quarters—some residences also have dens. The bathrooms are also part of the appeal with marble and limestone, as well as separate tubs and showers in the master baths. The Metro is a pet-friendly building. There are also options for secure garage parking in the building as well as extra storage. And then there’s the superb location and surrounding community, just steps from Whole Foods, Vida Fitness, Studio Theatre and an astonishing array of bars and restaurants along 14th Street. Need your morning does of caffeine? Visit Commissary DC, Caribou Coffee or Starbucks. At night, unwind with food and spirits at El Estadio, Sweetgreen, Logan Tavern, Drafting Table, Etto and more. In short, there’s a lot to like in these modern light-filled loft homes. Whether it’s the sleek interiors complemented by private outdoor spaces, the landscaped courtyard, all the nearby boutiques, galleries and eateries or the proximity to rail transit and the Downtown area, condo ownership at The Metro is highly coveted.